Welcome to the Early Intervention Strategies for Success blog! This blog was developed to provide early intervention (EI) practitioners with an interactive place to share and learn practical strategies that they can use in their work with infants, toddlers, families, other caregivers, and colleagues. Through our work with Virginia’s Integrated Training Collaborative and the Partnership for People with Disabilities at Virginia Commonwealth University, we have found that practitioners are eager for very practical, real world information that links best practice with actual practice. Hopefully this blog will be a place to share knowledge and experience and learn useful tips and strategies! We invite you to follow our blog and share what you know! While this blog focuses on strategies for EI practitioners, others who love and support young children, such as parents, child care providers, preschool teachers, and others in the 0-3 field will hopefully find this blog useful too! Don’t forget to check us out on Facebook, too! If you would like more information about EI professional development, VA’s Integrated Training Collaborative, or many other topics related to the work of early intervention, please visit the VA Early Intervention Professional Development Center site. Early Intervention (also called EI or Early Childhood Intervention) is a system of supports for families of infants and toddlers (ages birth through 36 months) with developmental delays and disabilities. In the US, these services are outlined under Part C of the Individuals with Disabilities Education Improvement Act (IDEA 2004) and currently all states operate EI programs. Practitioners who work in EI include service coordinators, educators or special instructors, speech language pathologists, physical therapists, occupational therapists, and others. The work of early intervention focuses on supporting caregivers as they enhance the development of their children during daily interactions and routines in settings that are natural for the child and family. For information about early intervention supports and services in Virginia, visit the Infant & Toddler Connection of Virginia. 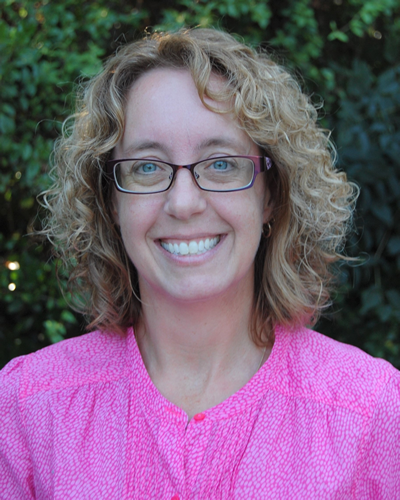 Lisa Terry, Early Intervention Professional Development Consultant, Partnership for People with Disabilities, provides support for the design and implementation of professional development activities for early intervention providers and administrators in Virginia. She has worked in early intervention for over 7 years as an educator, service coordinator, and clinical supervisor. Lisa began her career as a home visitor focused on increasing parent-child interactions. She has been a participant with the State of Virginia’s State Systemic Improvement Plan (SSIP) on functional assessment and coaching. She can be reached at lmterry@vcu.edu and by phone at 757.560.1429. Sue Murdock, the Program Evaluator, has worked at the Partnership since 2005 and has evaluated ITC products and services since 2007. She has over 30 years experience in conducting research and program evaluation for government, academic, and non-profit organizations. She can be reached at murdocksj@vcu.edu and by phone at 804.827.1425.